The Minister for Agriculture, Food and the Marine, Simon Coveney has announced the appointment of Aidan O’Driscoll as the new Secretary General of the Department of Agriculture. This follows approval of the appointment by the Government. Aidan O’Driscoll replaces Tom Moran who was the Secretary General for the past 10 years. Minister Coveney said he is delighted that Aidan O’Driscoll is the new Secretary General of his Department. “I’ve worked with Aidan for nearly four years and have full confidence in him to provide the leadership, intelligence and ambition to deliver for Irish agriculture, the food industry and the Marine sector into the future. “This is an exciting time for the agri-food sector with the abolition of quotas in April and prospects presented by new and emerging markets. 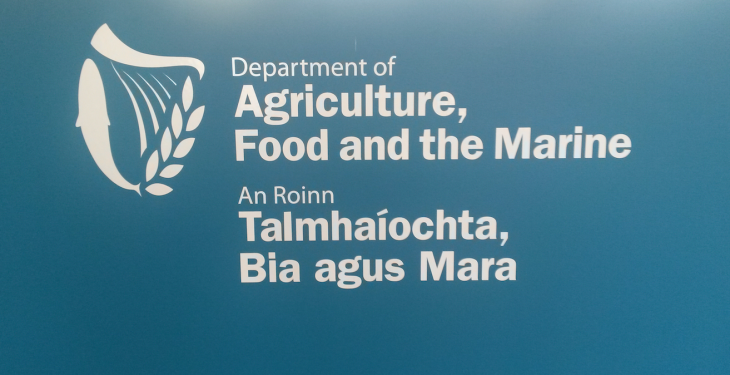 “There are significant opportunities and challenges ahead and I am confident that, under his leadership, the Department of Agriculture can capitalise on these opportunities. “I want to acknowledge the leadership of Tom Moran over the past 10 years and wish him well in his future endeavours,” Minister Coveney went on to say. In his most recent role as Assistant Secretary in the Department of Agriculture Aidan O’Driscoll had responsibility for EU Affairs, Economics and Climate Change, and successfully steered the 2013 CAP negotiations. The announcement comes following the news late last year that former General Secretary Tom Moran was to retire. Some 91 civil servants retired in 2014 from the Department of Agriculture and Tom was the most senior of them to retire. Tom worked with the Department of Agriculture since 1980 and has served in a variety of posts in the Department since his initial role as Administrative Officer.